For a crown full of hair PRP is a solution that a lot of people are resorting to. 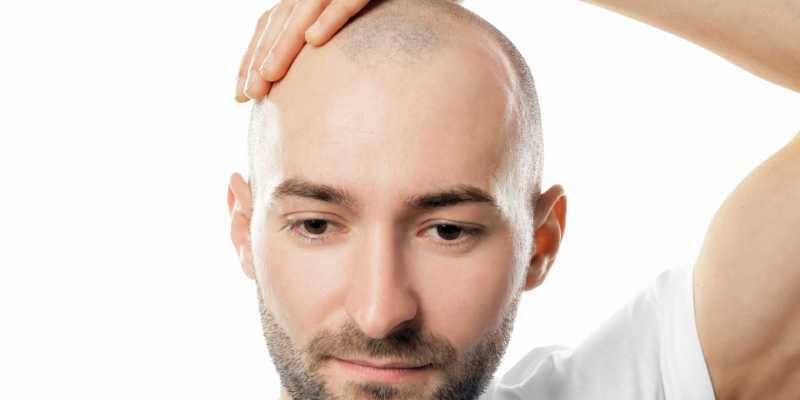 Hair transplants can easily be delayed with this treatment and it is also used as an adjunct to Hair transplants to have healthy hair growth of the transplanted hair. It is a simple, effective, non-surgical alternative to hair transplant. In this treatment, we have our routine standard PRP which is prepared by strict protocols of sterility and double centrifugation methods to give the highest quality of PRP. In our signature ‘Crown PRP’ the PRP is enriched further by the addition of meso solutions which have a proven efficacy in promoting hair growth. There are sessions needed for optimum benefits. This PRP also comes with packs of special hair growth vitamins for six months (available exclusively with the clinic) and hair serums that should be had as per the prescription of the doctor. There are no hormones involved in the entire therapy and the results we have been witnessing is very encouraging. Years of treatment with various methods of monotherapy, we can easily say this method of hair growth without surgery or hormonal treatments is working for the majority of our patients. What should you expect in your ‘Crown PRP’ Sessions? This is a treatment of four sessions ideally spaced from 3-4 weeks apart. The full course of treatment will last roughly four months. Blood will be drawn from one of your veins and PRP is prepared from this blood by double centrifugation method. A numbing cream will be applied on your scalp till the PRP gets prepared. The time estimated is about 40 minutes. The scalp is cleaned and wiped with an antibiotic solution to maintain sterility during the procedure. Small numbing injections may need to be applied in some patients, the majority will do well with the numbing cream. The PRP is then mixed with external growth factors to be injected into the scalp. The time duration of the treatment is around 20 minutes. One can expect a slight heaviness in the head for a couple of hours after the treatment. Ice packs are recommended for comfort. One should start expecting hair growth in the third month of the therapy. Smoking should be withheld for optimum benefits. Hair wash can be done the next morning. Is this different from routine PRP? We believe in strict protocols for treatments which are approved and followed by leading clinics worldwide. PRP is practiced by many practitioners but as a Plastic Surgeon who routinely deals in Hair transplants and has been practicing the hair science since years, Dr. Shilpi has combined a great mix of oral, topical and in clinic treatments to promote hair growth. The use of PRP in hair growth is fairly new and has been tried by many dermatologists with varying success rates. Alopecia after childbirth successfully using this method. There are two complimentary sessions of laser light therapy by the use of a laser helmet in between the sessions. The pain score can vary from 1/10 to 3/10 during the procedure. Patient comfort and safety are our top-most priority. Who is not a suitable candidate? Any patient who is on blood thinners is not a suitable candidate, this will include patients who have cardiac risks and have had a history of stroke. PRP during pregnancy should be avoided. One should prevent having any anti-inflammatory medication prior to the procedure. People who take aspirin may continue to do so. PRP is made from one’s own blood so there is no risk of disease transmission. The mesotherapy products used are all natural and approved by the USFDA. There are no major risks involved with the procedure. Minimal swelling, bruising and redness can be expected after the procedure but the majority of patients can continue their routine activity after the ‘Crown PRP’ session. Alcohol should be avoided after the procedure for 24 hours. For the cost of a “crown PRP” package, you can call for an appointment at +91-8130134693. For our signature ‘Super PRP Facial’ click here.